Amazon and Viacom announced today that the two companies have entered into a multi-year deal that will see the Prime Instant Video service receive a slew of new content being added. 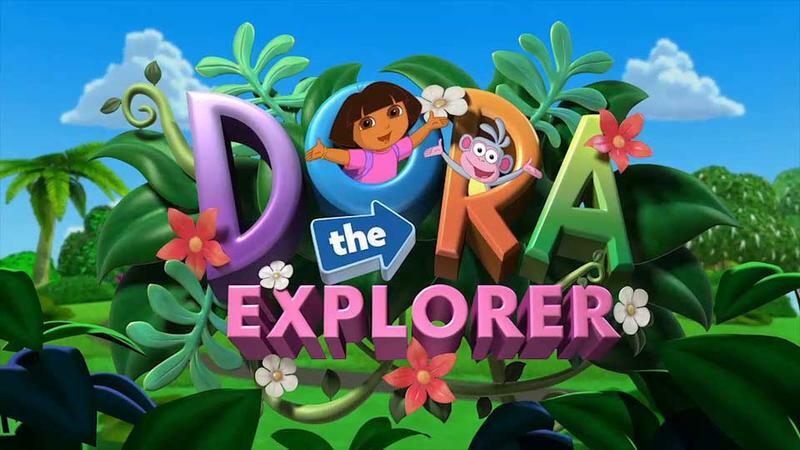 Several weeks ago Netflix let its deal with Viacom expire, seeing the departure of several popular children's shows such as Dora the Explorer, SpongeBob SquarePants and The Backyardigans. It was a somewhat odd choice as children's programming is some of the most popular content on streaming services, but Netflix apparently wants to concentrate more of its energies towards its original programming slate. Amazon took this opportunity to scoop up the streaming rights to all of the Viacom properties – which includes Nickelodeon, Nick Jr., MTV and Comedy Central – since they were now freed up, and have locked them down for a multi-year deal. Clearly what was Netflix's loss is going to be Amazon's gain. "Kids' shows are one of the most watched TV genres on Prime Instant Video," said Bill Carr, VP of Digital Video and Music for Amazon. "And this expanded deal will now bring customers the largest subscription selection of Nickelodeon and Nick Jr. TV shows online, anywhere." Netflix is by far the largest streaming company out there at this time, but one has to wonder if the increased emphasis on original programming might be its undoing. The choice by the company to let this contract expire on some of its most popular programming and have it scooped up by a competitor seems like an off choice. We'll just have to watch how this plays out. SEATTLE & NEW YORK–(BUSINESS WIRE)–Jun. 4, 2013– Amazon.com, Inc. (NASDAQ:AMZN) and Viacom Inc. (NASDAQ: VIAB and VIA) today announced an expanded multi-year, multi-national digital video licensing agreement to bring hundreds of TV shows and thousands of TV episodes from Viacom to Prime Instant Video. This deal includes a collection of TV shows that customers won't find on any other digital video subscription service. Prime members will now have unlimited instant streaming access to popular kids programming such as Bubble Guppies, The Backyardigans, Team Umizoomi, Blue's Clues and Victorious, along with top-rated shows from MTV and COMEDY CENTRAL like Awkward, Tosh.0 and Workaholics. Prime members will also have access to future episodes of Dora the Explorer, SpongeBob SquarePants, Fairly Odd Parents, Fresh Beat Band and more. LOVEFiLM customers in the UK and Germany will get some of the same great shows later this summer. Select shows from Nickelodeon and Nick Jr. will be available in Kindle FreeTime Unlimited, a service built just for kids that gives them the freedom to explore all their favorite books, games, educational apps, movies and TV shows, while providing parents with the tools they need to manage their kids' screen time. "Kids' shows are one of the most watched TV genres on Prime Instant Video," said Bill Carr, VP of Digital Video and Music for Amazon. "And this expanded deal will now bring customers the largest subscription selection of Nickelodeon and Nick Jr. TV shows online, anywhere. With programs like Dora the Explorer, SpongeBob SquarePants, Bubble Guppies and The Backyardigans there are hundreds of great shows for kids and parents to choose from. In addition, we are bringing customers popular shows from MTV and COMEDY CENTRAL like Key & Peele, Workaholics, Awkward and Teen Mom 2, with the promise of more shows from these networks in the future." "We are thrilled to be extending and deepening our relationship with Amazon," said Philippe Dauman, President and Chief Executive Officer of Viacom. "This innovative agreement will provide Prime members with access to even more of our best programming from our major television brands, including many digital video subscription streaming exclusives. Amazon has created a unique, brand-friendly environment for streaming entertainment and consumer products and we are excited to work with Amazon to bring customers shows they love." Prime Instant Video offers more than 41,000 movies and TV episodes for Prime members to stream on Kindle Fire, Kindle Fire HD, iPad, iPhone, iPod touch, Roku, Xbox 360, PlayStation 3, Wii and Wii U, among other connected TVs and devices—all at no additional cost. Also as previously announced, later this month Prime Instant Video will become the exclusive home to PBS hit series Downton Abbey as well as the highly anticipated CBS summer series Under the Dome, with each episode of the latter added just four days after initial broadcast. To sign up for Amazon Prime, visit www.amazon.com/primeinstantvideo.